Our company is the leading company known for providing Lightning Event Counter to the clients. We are a distinguished Manufacturer, Exporter, Trader and Supplier qualitative assortment of Earthing Equipment and Protection. Moreover, we are also providing Earthing Services regarding installation of free chemical filled electrodes. 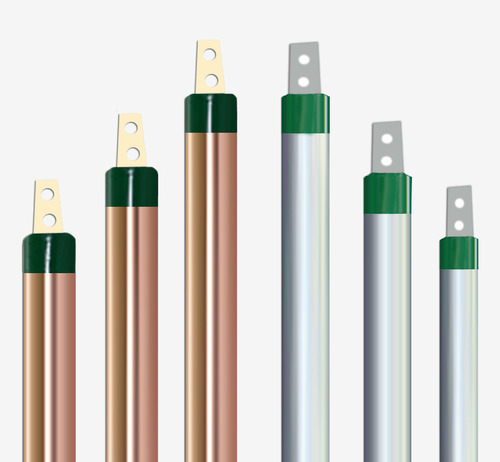 We are engaged in Manufacturing Earthing Electrodes. Our range of highly coveted products are widely known for their high conductivity, reliability and non-corrosive nature. We offers Earthing Electrodes, Copper Earthing Electrode, GI Earthing Electrode, Earthing Pipe Electrode, Lightning Arrester to our client's. Moreover, we also hold expertise in offering earthing services regarding manufacturing, engineering and installation at grounding level of free chemical filled electrodes.